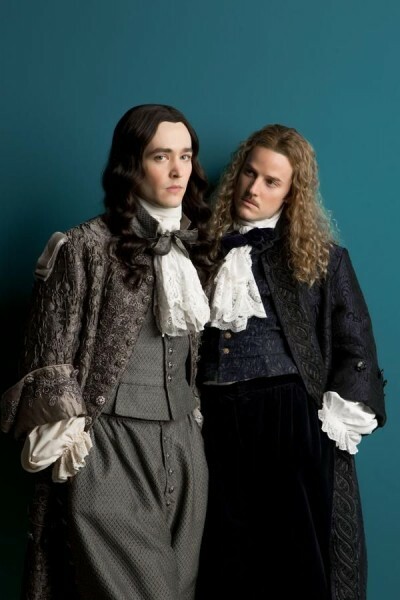 That's Alex Vlahos as Philippe, Duke of Orleans, the king's brother, called "Monsieur" at court; and Evan Williams as the Chevalier de Lorraine. Apparently this couple is now #MonChevy in the fandom world. Vlahos was Mordred on BBC's Merlin, which is how I heard of Versailles and got interested. Also, George Blagden (who caught my attention as Grantaire in the recent film version of musical Les Mis) is quite magnetic as King Louis. I'm not through with season 1 yet, so no spoilers! Then on lighter Netflix days I watch some old eps of Arrested Development, which I never saw that much of when it was actually on, or Galavant (it's like Robin Hood: Men in Tights), or New Girl. All good and silly. 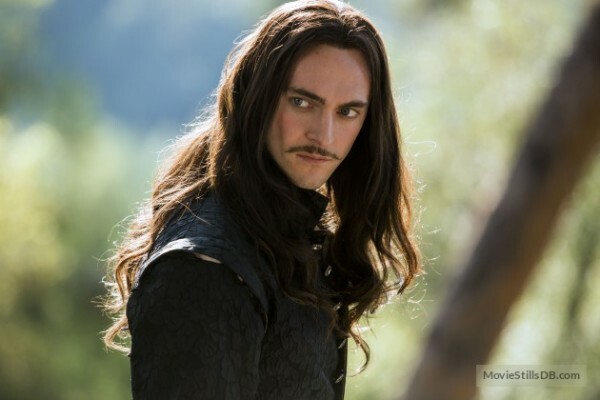 I've been watching Versailles since it started. Alex has been great in it. He really has! Steals scenes practically. :) Good at the whole range, from hilariously insolent to heartbreakingly vulnerable. I expect a lot of Merlin folk followed him over to this show. :) It turned out really well!